Effective herbal remedies can help those that suffer from common ailments rather than an expensive trip to the doctor and resulting prescriptions. Specific herbs can be made into healing salves, tonics and teas not only to relieve irritating symptoms that accompany these ailments, but also to cure them. (Make your own herbal preparations >>) Or, you can buy these already ready! 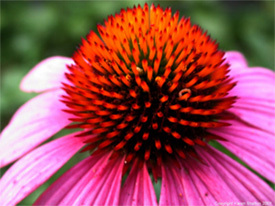 Enchinacea – Reduces inflammation and has healing qualities. Witch Hazel – Used as a topical astringent. Aloe Gel – Topically applied as an antibacterial (and astringent) agent. Barberry – Helps the immune system fight infection. Cranberry juice – Inhibits bacterial growth by increasing acid in the urine. Please support our sponsor of quality herbs and natural remedies. Top selling herbs and supplements are being used for chronic conditions that are difficult to treat or manage with conventional medicine. Ailments such as mood disorders, heart disease, arthritis, women’s health conditions, and digestive disorders are among the most common reasons. Before taking any herbs it’s highly recommended to talk to your doctor. Also, be sure to see precautions and potential side effects for each herb, listed on the individual pages linked. Ginkgo Biloba sold $147 million worth, commonly used to increase because of it’s antioxidant properties, which is believed to help improve memory, increase brain blood flow, and prevent dementia. It’s also thought to help prevent heart attacks and stroke. 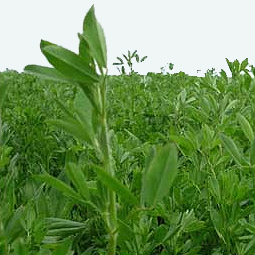 St. John’s Wort, nature’s anti-depressant (sold $104 million) is generally used for mild to moderate depression. Garlic, more than just a tasty addition to foods, it’s a natural antibiotic and has sold $84 million in a year. It’s also used to lower cholesterol levels. Echinacea, an herb I always keep around, sold $72 million in 2010. This herb while listed as a treatment for colds and respiratory infections, is best used to prevent these problems when taken at the change of seasons and/or the first signs to shorten duration. I take it instead of a flu shot! If a cold or respiratory problem has already shown it’s nasty signs, I also take Elderberry and Zinc (formula) to expedite healing. Let me precede this post with the fact that I am a huge believer in herbs and natural remedies. I studied them for years though I am NOT a practitioner. The information I provide here is not intended as medical advice in any way. It’s provided for your interest in alternative health therapies available. I’ve used herbs, vitamins, enzymes, healthy foods, etc., personally for nearly two decades. Obviously, I’m sold on the benefits! Let’s talk about some specific things you should know before you buy herbs for your health. Although widely touted as a healthy alternative to synthetic pharmaceuticals, herbal treatments must be used with caution and by someone who knows what they’re doing. You want to be knowledgeable about what you put into (or on) your body before you ingest a dangerous amount of an herb you’re not familiar with. Many companies sell herbs off the Internet without any verifiable way to back up their claims or even that you’re receiving the kind of herb you’re investing in. You want to only buy from a reputable company that delivers herbs you can trust.